“I’m not losing my mind, I’m not losing it,” she chanted. Hesitantly, she opened her eyes and found herself staring once again into a hairy, hideous face. She screamed louder this time as she raced to find the cell phone she’d tossed on the kitchen counter last night. Her fingers trembled as she punched in 9-1-1 and waited for an operator. Surely they had some sort of emergency response program in this tiny town, didn’t they? 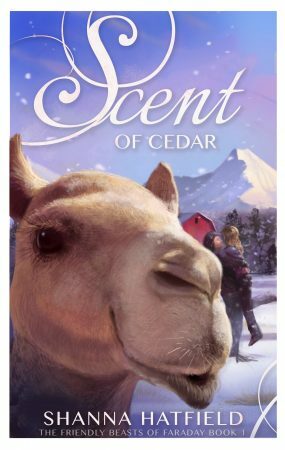 Cedar slammed the kitchen window closed then frantically paced the floor, one hand flapping back and forth as though that might make someone answer faster. Finally, a voice came on the line. “Wild animal, ma’am?” an unruffled voice questioned. Cedar rattled off her street address, surprised she could remember it in her distraught state.